Check out the trailer for The Silence. On Netflix April 10, 2019. The film stars Stanley Tucci, Kiernan Shipka, Miranda Otto, John Corbett, Kate Trotter, Kyle Breitkopf. John R. Leonetti directs. When the world is under attack from terrifying creatures who hunt their human prey by sound, 16-year old Ally Andrews (Kiernan Shipka), who lost her hearing at 13, and her family seek refuge in a remote haven. But they discover a sinister cult who are eager to exploit Ally’s heightened senses. 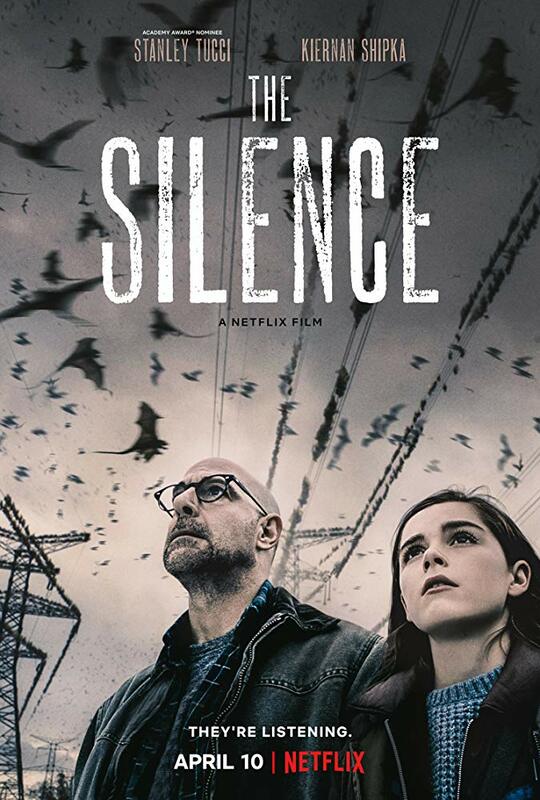 Based on the acclaimed novel, The Silence.